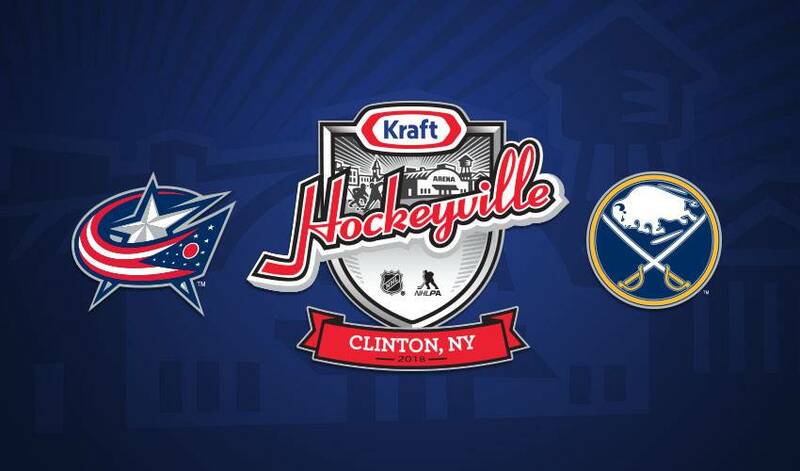 NEW YORK / TORONTO (May 18, 2018) – Clinton, New York, the winner of Kraft Hockeyville™ USA 2018, will host the Buffalo Sabres® and Columbus Blue Jackets® NHL preseason game on September 25, 2018, Kraft Heinz, the National Hockey League (NHL®) and the National Hockey League Players’ Association (NHLPA) announced today. The central New York historic village earned its designation as this year’s most spirited hockey community in America, $150,000 in rink upgrades and the opportunity to host the NHL matchup after amassing the most votes in the online Kraft Hockeyville USA™ 2018 contest. Clinton Arena is a staple of the local hockey community in Clinton, N.Y. After suffering a fire in 1949 and rebuilding from scratch six years later, this beloved gem has served generations of young hockey players for nearly 70 years. Cementing its history, Clinton Arena was proudly listed on the National Historic Register in 2010. While the venue still has many of its original fixtures intact today, the prize money from Kraft Hockeyville™ USA 2018 will go toward improvements to several features. Since launching in 2006, Kraft Hockeyville™ has positively impacted more than 80 communities with over $4 million in rink upgrades across the U.S. and Canada. Tickets to the preseason game are free and awarded to the winning community. Details on how to get tickets will be announced in the coming months. For more information, visit www.KraftHockeyville.com. Kraft Hockeyville™ USA 2018 can also be found on Facebook (KraftHockeyvilleUSA), Twitter (@HockeyvilleUSA), and Instagram (KraftHockeyvilleUSA). Fans can join the conversation using #HockeyvilleUSA.